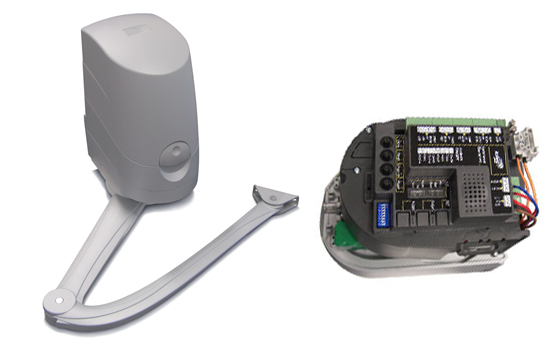 Modus Master motor Arm is complete with the controller housed in the unit. 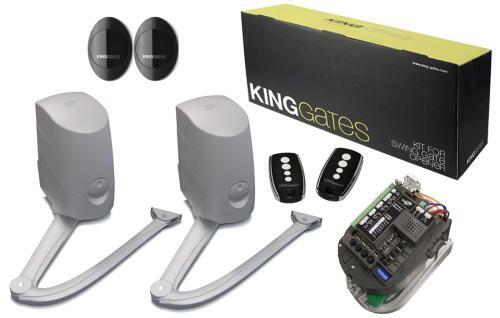 The controller is housed complete with power supply and has auto programming, Built in radio receiver, Slow down for the end of travel, Obstacle detection, Pause time, Pre lamp, Pedestrian opening, Safety edge input and much more. 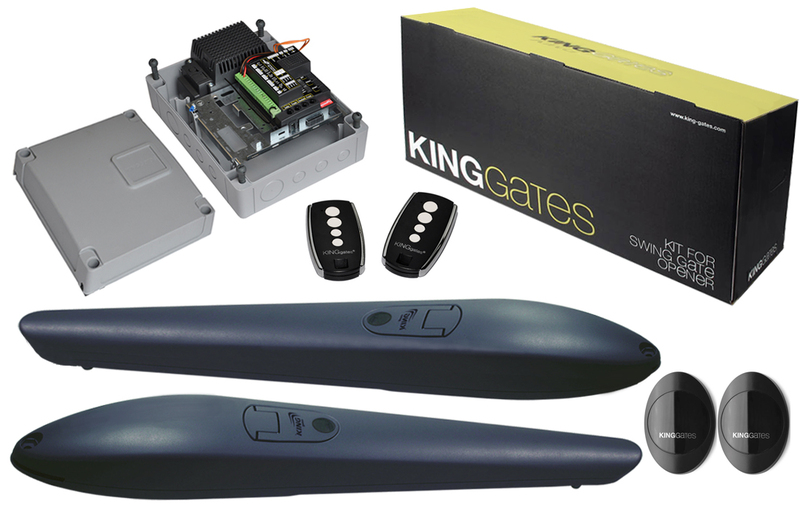 Please note that an optional back up battery and charger card is available for all the low voltage King range of motors. Please look under accessories.